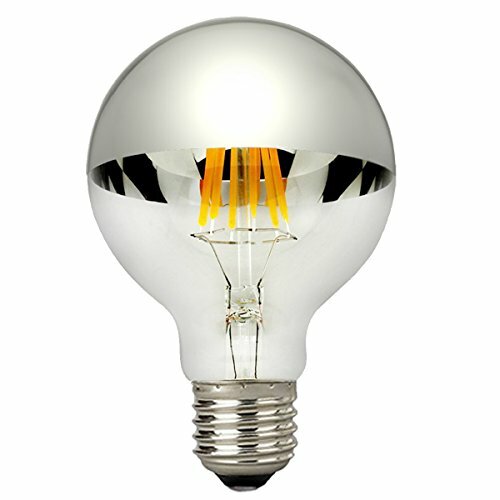 Specification Model: G125 Watt: 6W Voltage: 110VAC Light source: LED Epistar chip Base type: E26 certification: CE&ROHS Bulb Color: Clear Silver Bowl Life Hours: 3500 hoursWarranty: 2 years free replacement Uses LED filament technology to give it a rated 30,000 hour life, or 25-30 times the life of an incandescent bulb. 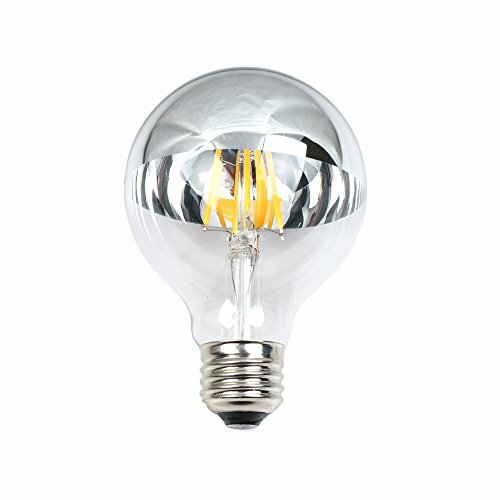 Our LED filament bulbs turn on instantly to full brightness with no delay. Green lessen the impact on our environment and reduce landfill waste. 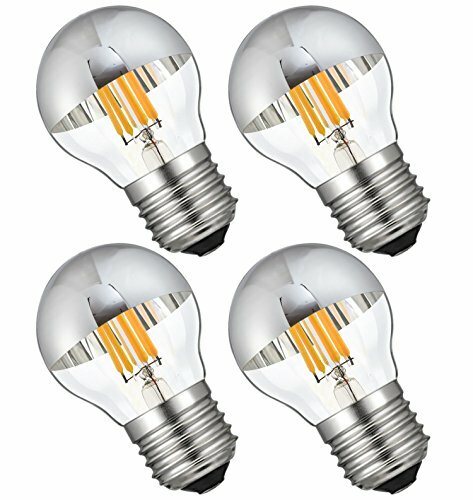 Mercury free, making them much safer around kids and pets than those curly CFL bulbs. 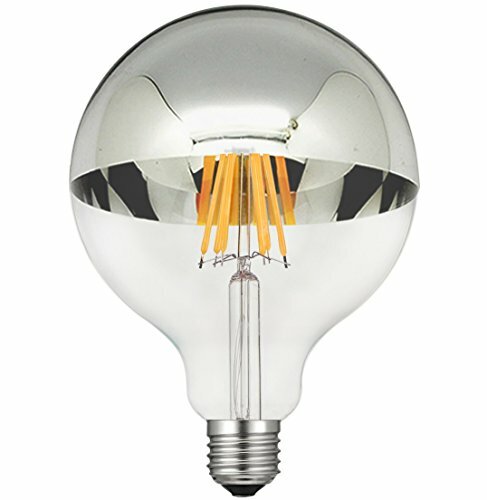 This Half Chrome Mirrored LED Light Bulb is especially designed for shadow light fixtures. It not only brings a warm atmosphere, but also adds a piece of art decoration to your home. 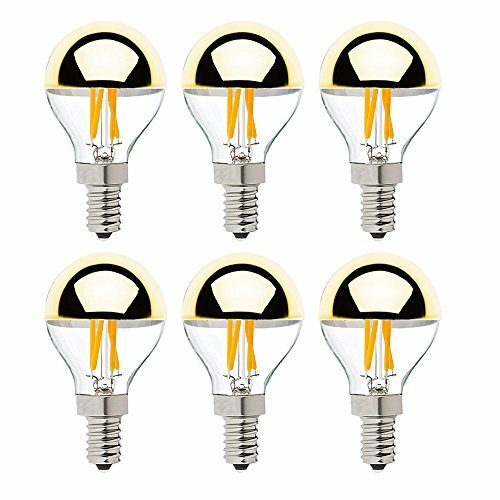 and this half Chrome Mirrored Led Light Bulb is more beneficial to your eyes, so it will not only make beautiful of your home but also can protect your eyes. 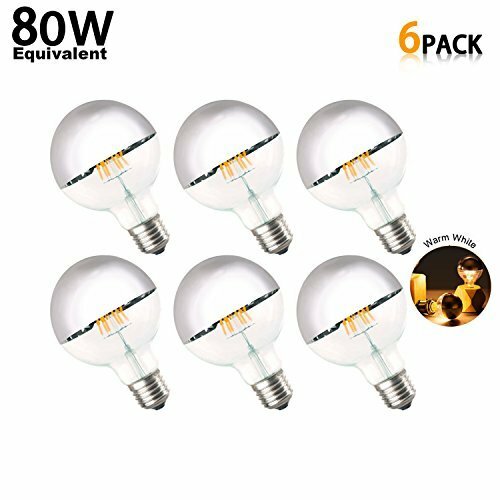 specifications Bulb Type :G80 Wattage : 6W Lamp Base : E26 Color Temp (K) : Warm White(2700K) Light Source Color : Warm White Voltage : 110VAC Dimmable : YES Technology : LED Lifetime : 3500Hours Delivery time: 3-5 days after payment confirmed Green lessen the impact on our environment and reduce landfill waste. 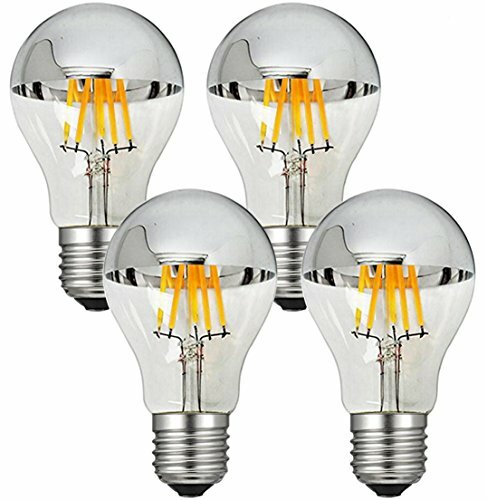 Mercury free, making them much safer around kids and pets than those curly CFL bulbs. We always appreciate all of the buyer we always meet and want to offer the best product and service to them. We offer strict QC, shipping faster and safer, But we are not so perfect to satisfy all yours, we are willing to apologize and compensate for the inconvenience to do. Please do not hesitate to contact us if you are not so. Satisfied with the item before leaving a comment, we will always be here until you happy. Thanks. The gold-dipped look is so popular today that you can find it on pretty much everything, from bar stools to coffee table legs to dressers. 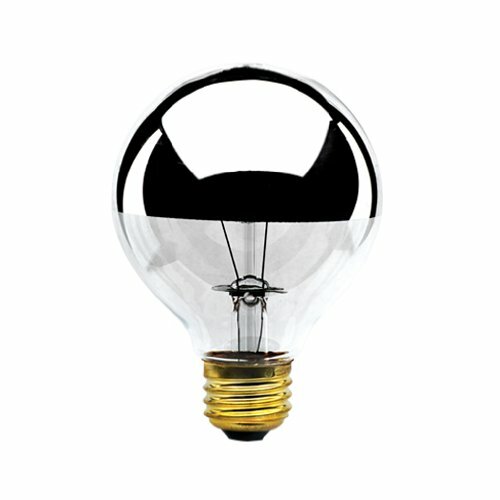 And how about a dipped light bulb? It's so pretty by itself that it requires no other accessories. Features: 1. Designed according to LED Edison lamps plus led lights. 2. High luminous flux can reach up to 100lm/W. 3. Using Filament led candle light. 4. Base : E12 5. No UR, no radiation, safe for humen. 6. High quality with CE, Rohs Ccertificates. 7. 2 years warranty. Application: 1) Lobby & Hotel lighting. 2) Cabinet/Under Cabinet ,Step & Cove Lighting. 3) Amusement park and theater lighting. 4) Emergency hallway lighting. 5) Shopping mall, restaurant, hotel, meeting room and advertisement signs backlighting . Looking for more Globe Half Mirror similar ideas? Try to explore these searches: Hand Knife Sharpener, Row All Weather Mat, and Atlantic City Nj Map. Look at latest related video about Globe Half Mirror. Shopwizion.com is the smartest way for online shopping: compare prices of leading online shops for best deals around the web. Don't miss TOP Globe Half Mirror deals, updated daily.